Dubbed one of the most beautiful and exciting cities in the world, Cape Town is pure love at first sight. At first glance the Mother City is the whole package, beautiful, unique, adventurous, daring and truly one of a kind & with obvious natural stunners like Table Mountain, Clifton, Camps Bay, Cape Point and Chapman’s Peak it isn’t hard to understand why. But there is definitely more to Cape Town than what meets the eye. Cape Town is home to some of the most beautiful coastal drives in the world, one of which is the spectacular stretch from Cape Point to Kommetjie. Boasting an untamed and unapologetic natural beauty and hidden gems like Scarborough and Misty Cliffs along the way, this magnificent Mother City coastal gem is worth every second spent marvelling at its beauty. 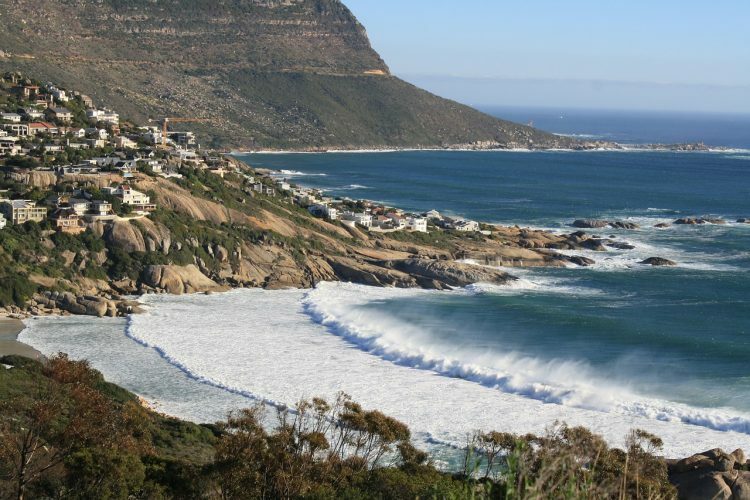 And while Chapmans Peak Drive is certainly more well known, this lesser known sightseeing treat might just steal your vote and maybe your heart too! Just an hour outside of the city you will find the perfect escape from the hustle and bustle, the Steenbras Nature Reserve. This glorious natural Cape Town gem is every bit as beautiful as it is exciting, and while it might take some extra effort (and maybe a bit of sweat and hard work too) to reap the reward, the end-point is well worth it – a true Cape Town pot-of-gold! The beautiful Crystal Pool Hiking Trail starts on the R44, just after you’ve crossed the bridge over the mouth of the Steenbras River. The abundance of indigenous fynbos, lush surroundings and incredible views ensures you have more than enough to marvel at and enjoy. The first pool is about 45 minutes from the start of the trail and it also welcomes you to enjoy a lovely picnic and a shaded escape to catch your breath. BUT, if you have a bit more energy left in your ‘tank’ we suggest you continue on your journey to the second pool, you will certainly be well rewarded for your efforts, that’s a promise! Boasting some serious swimming, kloofing opportunities AND a waterfall it promises to be one thrilling adventure! Located in the charming fishing village of Hout Bay, the Clay Café is a ceramic painting Cape Town gem that encourages you to let your creativity run free and rampant. You get to take your pick from a vast array of unfired bisque (already made pottery pieces), nifty tools and vibrant paint colours to create your one-of-a-kind crockery work of art. Spend the day painting and creating to your heart’s content while enjoying a delicious farm-style meal in the process, and not to mention the incredible view of Hout Bay too! This is one Cape Town off the beaten path activity that allows you to enjoy your experience, and your one of a kind crockery creation, for many years to come. You can simply not visit the largest and most unique wine producing region in Africa and not drink wine, there is just no way, or at the very least enjoy the sensational wine valley views it has to offer. And while big names like Groot Constantia, De Grendal, Durbanville Hills, Diemersdal and Steenberg, just to mention a few, tend to draw the larger crowds, Cape Town off-the-beaten-path wine gems like Silvermist Organic Wine Estate is well worth a visit, and certainly adds a few special touches. Many people don’t know that Silvermist Organic Wine Estate is actually the only organically certified farm on the historic Constantia Wine Route. It also boasts some of the most diverse and unspoilt terrain in the city. Besides uniquely sensational wine, this Cape Town hidden gem is also home to a stunning boutique hotel, 2 award-winning restaurants (La Colombe (currently rated the 7th best restaurant in the world) & the Green Vine Eatery) and a range of exciting attractions. It therefore promises to be a day well spent. We can’t create an incredible things to do in Cape Town off the beaten path list without adding some beach lounging and sun soaking to the list. 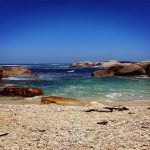 While Cape Town certainly has no shortage of spectacular beaches to choose from, there are a few hidden gems and striking secret spots that certainly deserve their moment in the spotlight. And Llandudno is most DEFINITELY one! This beautiful low-key Cape Town beach found between Camps Bay and Hout Bay is also known as one of the very best sunset spots in the Mother City. Framed by big granite boulders, Llandudno really is a picture-perfect dream come true! A unique and exciting inner-city wine route that is hosted once a month for any and all wine lovers and enthusiasts at heart. Thanks to Tuning the Vine, once a month Bree Street is filled with eager winos looking to taste their next favourite wine or merely just have a grand ol’ time! From R180 you get to a glass, the opportunity to taste a whole lot of unique wine and one unforgettable night spent strolling the vibrant and lively Bree Street. The trendy Cape Town neighbourhood of Woodstock is home to this truly spectacular theatrical restaurant. With incredible performances by singing, dancing waiters and delicious Mediterranean dishes you are in for the mother of all treats! This is certainly one of the most incredible things to do in Cape Town off the beaten path, not only because you get to enjoy the sweet sounds of some exceptionally talented musicians, but because it promises to be one fun night out for all! Stardust is a place where everyone is welcome and you are encouraged to join in on the festivities and cheer your newly-discovered favourite musicians on to your heart’s content. Hidden between the avenues and quiet streets of lush Constantia are several green belts just waiting to be explored by you! And the crazy truth is very few people actually know about it, thereby definitely earning it a spot on our list of incredible things to do in Cape Town off the beaten path. These paths navigate their way through the lush forest glades and along the little waterways, thereby offering hikers, dog-walkers, late afternoon strollers, avid joggers and everyone in between a scenic journey through one of Cape Town’s most beautiful neighbourhoods. There is no sunset quite as special as a Cape Town sunset, but watching it from the Clifton beach ridge rocks is pure sunset bliss in every single way! At the end of The Ridge Road in Clifton, just before you think you’ve gone past it, you’ll stumble upon a small walkway that opens on a little rock ridge – this is THE magic sunset spot! This is without a doubt one of our favourite things to do in Cape Town off the beaten path, and maybe the most beautiful too! If you’re a die-hard chocolate lover at heart, this one is especially hand-picked just for you! This artisanal chocolate cafe is certainly the best place to go when the craving for chocolate kicks in. Situated between the buzzing streets of Bree and Loop, Honest Chocolate is all about keeping things REAL, real chocolate delights, made the real way with only the most organically produced ingredients. Cakes, tarts, truffles and more, this is an indulgent chocolate escape you cannot miss out on! And an extra special evening treat is the Secret Gin Bar that opens in the courtyard. Here you’ll be able to sip on sensational G&Ts and enjoy an incredible evening under the Cape Town night sky. Plus, a visit to either one of these Cape Town hidden gems ensures a visit to the other one too. This means you can indulge in not 1, but 2 of Cape Town’s hidden gems – how epic is that? Despite its proximity to the city, Scarborough, which lies just beyond Kommetjie is one of the few natural Cape Town gems that remains relatively untouched by the madding crowds. Scarborough is a conservation village that lies embedded in the steep mountains of Slangkop and Red Hill and boasts some of the most sensational scenic views. It is a nature-lover’s haven and the perfect off the beaten path Cape Town destination for anyone looking to escape the crowds and take in one of Mother Nature’s finest creations. It is also a great fishing and surfing spot! There is nothing quite like eating delicious local seafood when in Cape Town, and an authentic seafood braai at Die Strandloper is the very best of the best! Located approximately 120 km from Cape Town city you’ll find the charismatic coastal town of Langebaan, home to Die Strandloper. You will be welcomed by sun-bleached and weather-beaten wood, old fishermen’s nets and shells for décor, and the white noise of the waves crashing on the beach. And what’s on the menu you ask? An epic 10-course seafood feast jam-packed with freshly caught fish, home-made bread, crayfish, authentic local flavours and so much more. And it’s all enjoyed right there on the beach, so feel free to leave your shoes at home. 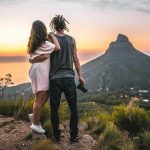 There definitely is no shortage of incredible things to do in Cape Town off the beaten path, and while all of these hidden gems and secret local spots might be lesser known among the crowds, they are by no means any less spectacular. In fact, they are truly one of a kind! 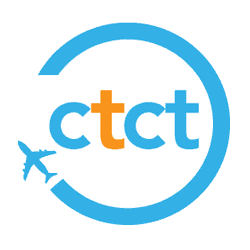 The Mother City therefore encourages all who visit her to step outside of your comfort zone and onto the road less travelled for a magical adventure filled with beauty and discovery. And she promises to make at ALL well worth it!